(Sep. 2017) – Whether it’s the eerie dark side of the Moon, the witchy spells cast at New Moons or the so-called “lunacy” of Full Moons, our nearest cosmic neighbor has always enchanted us. Our myths of Moon goddesses, werewolves and alien space stations evoke lunar mysteries we may never fully fathom. 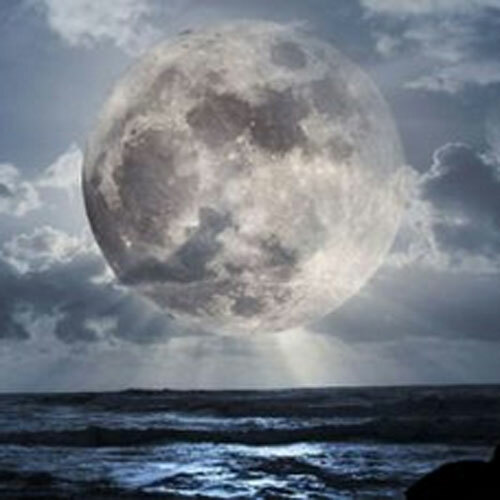 The Moon represents our deepest needs and instincts. We have all been trained to judge and resist these impulses. We generally do not trust the validity of what we desire, and may even doubt our sanity when irrationally drawn to certain things or people. In some cases, we’re wise to steer clear. But much of what we perceive as dark or twisted (in ourselves or others) is actually a cry for help from the parts of us that have long been repressed, denied or shamed. The Moon in your chart – its sign, house and aspects – reveals your needs and desires, and how you may try to fulfill them. For her recently released book on the Moon, Simone Butler did extensive research on lunar myths and the astrological Moon. In her Sept. 8 talk for SDAS, Simone will share some compelling Moon lore, and discuss our lunar nature. She’ll share examples in women’s and men’s charts of how various Moon signs act out when their needs aren’t being met, and she’ll illustrate how certain transits to the Moon can bring out the beast in even the best of us – or prompt us to fulfill our heart’s desires.